Adam Sandler is a love-bitten vampire in the third movie in the animated franchise. 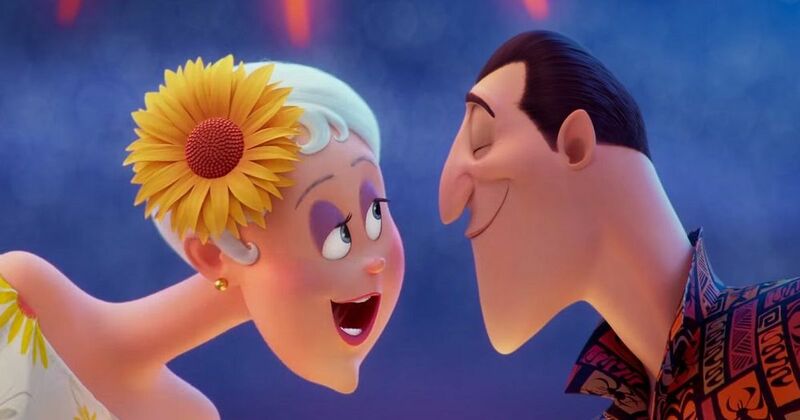 The first trailer of Hotel Transylvania 3: Summer Vacation, described by Deadline as “the latest in the frightfully successful ($831M global) franchise from Sony Pictures Animation”, sees the return of Adam Sandler as Count Dracula. The action moves to a luxury monster cruise ship, where Dracula meets the alluring Captain Ericka (voiced by Kathryn Hahn), who, of course, isn’t what she appears to be. The movie has been helmed by Genndy Tartakovsky, who directed the first film in 2012 and the sequel in 2015. Returning voice cast members include Selena Gomez, Steve Buscemi, David Spade, Andy Samberg, Kevin James, Molly Shannon and Mel Brooks. Jim Gaffigan enters the picture as Van Helsing, Ericka’s great-grandfather. The movie will be released on July 13.